If you are looking for football travel information on Premier League and Champions League games, we would like to refer Thomas Cook. Thomas Cook have many matchday packages available to choose from no matter what team you support. Using coaches for UK, they offer affordable options for all your travel arrangements. Click the links above to see if there is a suitable package for your teams next away game. 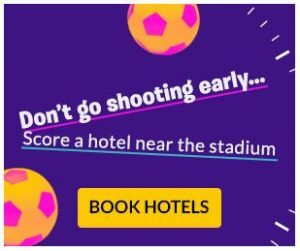 European games will often get booked up early and there are limited places, so make sure you get your travel package booked early to avoid disappointment. Thomas Cook covers games to the main European countries such as Italy, Spain, Germany, France and Holland, but do check to see the other locations they can help you get to.